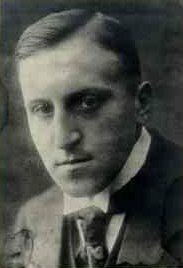 Carl von Ossietzky (3 October 1889 – 4 May 1938) was a German journalist and peacemaker. He was awarded the 1935 Nobel Peace Prize because he exposed the secret German re-armament. He was convicted of treason and spying afterwards. ↑ Moore, Malcolm (10 December 2010). "Nobel Peace Prize: echoes of 1936 when Hitler barred von Ossietzky". The Telegraph. Retrieved 16 September 2017. Wikimedia Commons has media related to Carl von Ossietzky. This page was last changed on 2 April 2018, at 01:13.